Blue Ridge discussed the evolution of demand forecasting, planning and replenishment at their annual customer and supply chain planning thought-leadership conference on October 6-8, 2015 at Château Élan. Blue Ridge, cloud-native supply chain solution provider, hosted their annual BLUEPrint conference at Château Élan outside of Atlanta, Georgia on October 6-8, 2015. 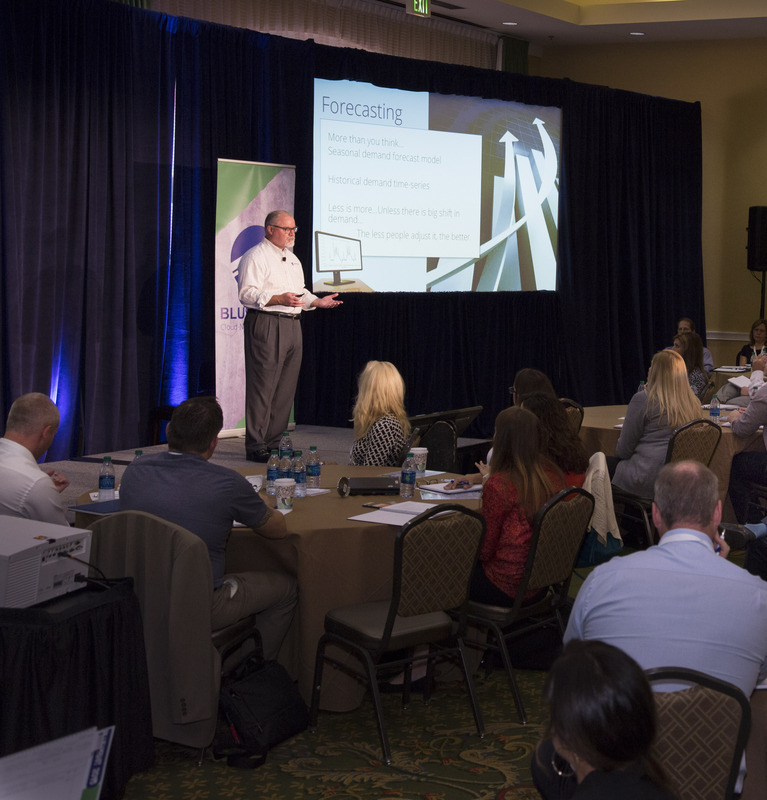 With an entirely new format and record-breaking turnout, Blue Ridge explored the theme of supply chain transformation with dozens of global leaders. The conference boasted several customer transformation stories, a powerful keynote speech on big data analytics, and a glimpse into the future of supply chain technology. BLUEPrint 2015 attracted more attendees and interest than ever before. Blue Ridge executives and domain experts dove into the future of supply chain and discussed new product developments, the benefits of cloud, and concluded with a technology vision from Prasanna Katta, VP of Technology at Blue Ridge. Featured Keynote Speaker, Dr. Jennifer Lewis Priestley, head of the Ph. D. Program in Advanced Analytics and Data Science at Kennesaw State University, delivered powerful insights on the challenges and opportunities of “Big Data” in today’s business environment. The event featured six Blue Ridge customers sharing their transformational stories. The customer presentations included industry leaders such as: Gemaire, Home Hardware, CRP Industries, Interline Brands, Ben E. Keith, and Associated Food Stores. Ranging from brand new implementations to one of Blue Ridge’s first customers, guest speakers painted a picture of their changing business environment, and then demonstrated their significant improvements in inventory performance since implementing the solution. There was ample opportunity for collaboration and networking amongst attendees and Blue Ridge professionals. Following customer presentations, the floor was opened to Q&A where the audience was able to relate their own environment to other industry leaders and discuss how to overcome similar challenges. Blue Ridge will host the next BLUEPrint in May of 2017 in Atlanta, Georgia. Stay tuned for more details surrounding the event.